The J. Painturaud Reserve Grande Champagne Cognac is a delicious blend from the premier cru of the Cognac region. This Cognac spent a decade whiing away time in oak barrels to become the delight it is today. From the deeper robe that belies its age, through the tempting aromas, right onto the ever-evolving palate, this Cognac lives up to all expectations. As with each of the Cognacs produced by the talented house of J. Painturaud, this Reserve really does offer exceptional value for money. Enjoy as a digestive or an aperitif. For the advenurous, you can chill in the fridge before drinking to release new, subtle flavors and aromas. 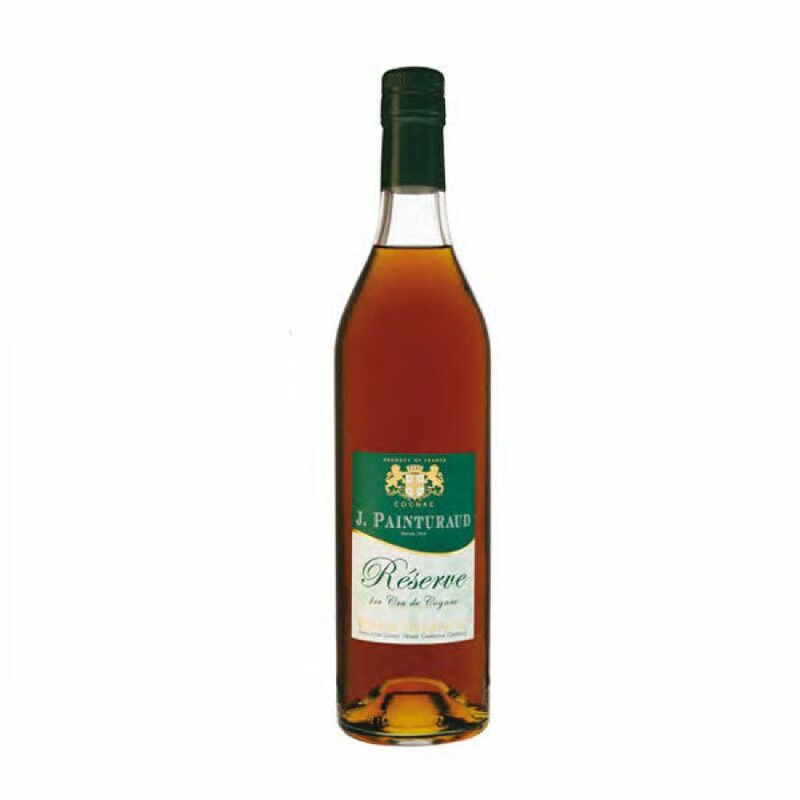 A great Cognac to add to your collection, or a good choice for a gift for anyone who appreciates fine liquor. Located near Segonzac, in the very heart of Premier Cru Grande Champagne country, Painturaud Cognac has a history that can be traced back to the end of the 1800s. With 23 hectares of vines planted over rolling hillsides, the main crop is composed of the Ugni Blanc grape, with a smattering of Colombard and Montils. They also grow a small amount of red grapes – Merlot and Cabernet Franc – for production of red Pineaux des Charentes.